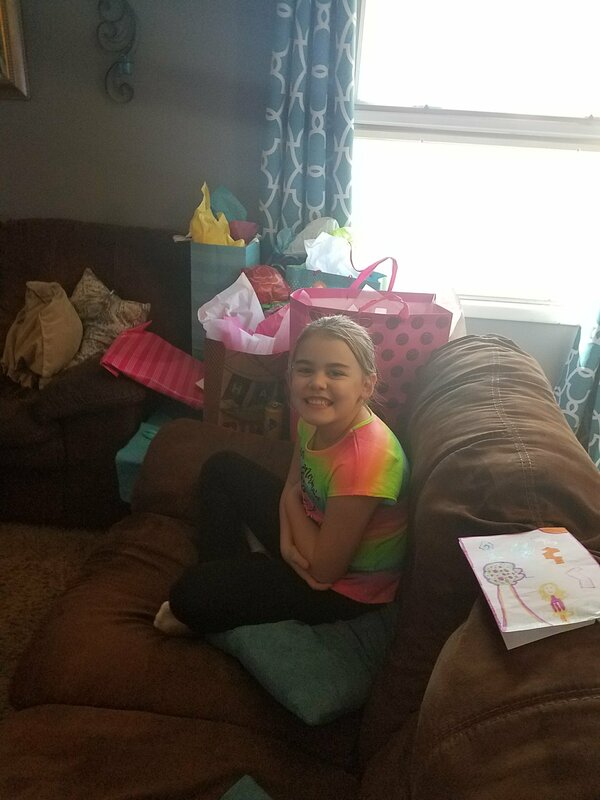 As a divorced mom, I find myself struggling with the life that is now our norm, especially when it comes to birthdays. Knowing that her birthday experience falls directly in my hands alone can be daunting, but totally worth it in the end. My daughters birthday was this past weekend and I went all out, like I do for the parties. Creating an underwater adventure for her and her friends, was the highlight of the experience. Her face when she saw how everything came together is not anything I will ever forget. Below are a list of questions that I usually get asked when parents attend these parties, so I thought I would answer them here. Why do I go all out? First and foremost, I want to give my kids memories that will last a lifetime. Growing up, I didn’t have many huge birthday parties or searching for themes and crafts, we just did small events with family. That is not a wrong way to grow up, but now, I want to celebrate life to the fullest. Life is too short to not celebrate every moment possible with friends and family. Well, my kids do. I have done everything from Mickey Mouse, to Cupcakes, to Mermaids and an underwater adventure. Each birthday is created during the week before. The kids excitement builds up and finally when they wake up on the morning of their party, the faces of this new world are priceless. I don’t ever tell my kids that they can not have a certain theme, even when, after searching all over, I can’t find anything decorative for it. Instead, I let my mind wonder, explore Pinterest, and talk to my friends and family, who all seem to have great ideas for me to build off of. Why home parties over parties at other places? This answer is quite simple. It is not always less expensive, but it is always more personal. I love to take my time and allow the party to run its course. I do not want to worry about time limits or finding a new place each year, or worse, having to monitor all the kids that are dropped off for the party. Instead, the home parties are safe, they are relaxed, and they are adaptable. Oh this debate is so fun! So, my reasoning for making cupcakes are as follows. First off, when my child blows out the candle, I don’t want their germs on the entire cake for everyone to share. One of the other reasons is, that I can personalize each cupcake as needed. For my toddlers joined parties, one of them likes one thing and the other likes something different, so I am able to adapt to whatever is needed. Another reason for cupcakes is that they come in their own packaging. It is easy to allow a child to take an extra cupcake to a sibling, or for them to save it for later without it getting gross or stale. To go a long with my O.C.D. and mysophobic ideas, I can’t bring myself to allow anyone to touch my food. By making cupcakes, I ensure that we don’t share germs. PLUS! I have a really adorable cupcake holder, which holds 41 cupcakes that I bought for $5, and I love sharing that story. Why do you make themed foods? It is all a part of the ambiance! I think that every little detail of the party should go along with the theme. Besides, I love to test out my creativity and my abilities to go big or go home, and make it look like it was easy. Was it? NO! And I am always blessed to have someone that is willing to come early and help out with all the little things I want to do to make the party amazing! Well, unfortunately for my winter children, pinatas and sack races are not something we can do in the snow or frigid weather. So, we have adapted our entertainment to crafts. 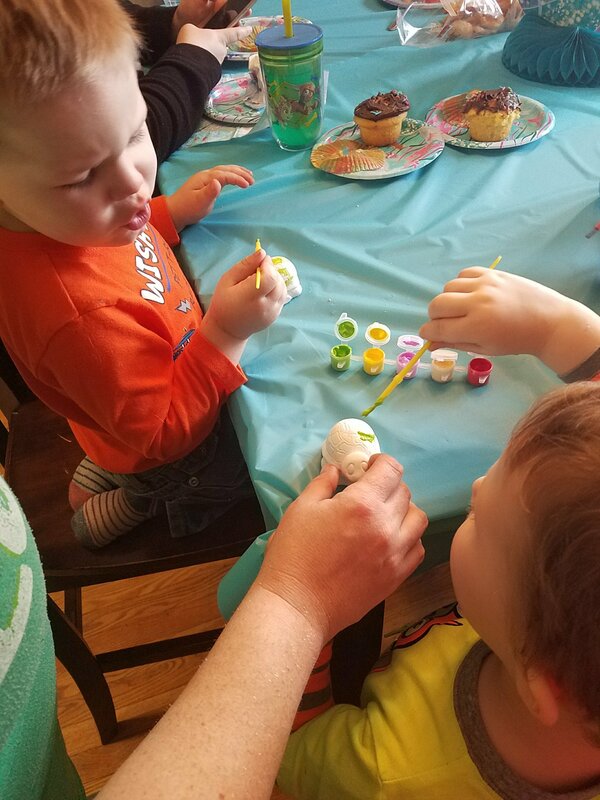 Whether they are creating their own cupcakes, or painting small plaster creatures, we always make sure there is a memory that the kids attending can take home with them. Well, this answer is that it is different for each party, each day and each category of guest. Typically, the kids that are invited from school, or who are dropped off are there for around 2 hours. During that time, we are able to eat, do presents, and the craft before they are picked up again. For family, the party usually lasts more like 4-5 hours. Typically after the other kids go home, that gives the family members the opportunity to stay longer and celebrate the relationship they have built with the kids on their birthday. But overall, I don’t ever like to put a time limit on the parties for family and friends of family, because I enjoy entertaining so much!